Good news Fulani herdsmen leaving Agatu – Official | your dependable source for the latest news, music & general information. 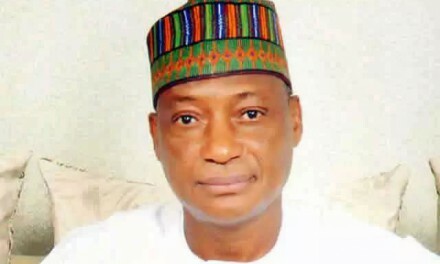 – The chairman of the peace and reconciliation committee set up by the Benue state government said the Fulani herdsmen started leaving on Sunday, March 27 – The chairman said the exit of the herdsmen is a result of reconciliation process between Agatu people and the Miyetti Allah Cattle Breeders Association of Nigeria (MACBAN) – The chairman called on the Nigerian government to set up a permanent military formation in the riverine area of Agatu to prevent further crisis Share on Facebook Share on Twitter A herdsman escorting his cattle with AK47 riffle. Some of the Fulani herdsmen who had invaded Agatu local government area are already leaving the territory are currently leaving the communities, NAIJ.com can report. In an interview with NAIJ.com, Apah Idu, the chairman of the peace and reconciliation committee set up by the Benue state government on Agatu crisis said the herdsmen started to leave communities in Agatu on Sunday, March 27. Idu said the exit of the herdsmen from Agatu is in line with reconciliation process reached through the peace committee. 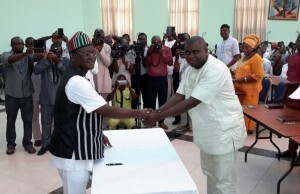 The committee made up of individuals from the Agatu communities and the Miyetti Allah Cattle Breeders Association of Nigeria (MACBAN) mediated between the warring parties. Idu said: “Yes, even before I left home this morning, they have started leaving Agatu. I also spoke to one of the youth in the place and he also said they have started leaving the place.” He said the exit of the herdsmen will give the Agatu people the opportunity to return and salvage what is left of the area. “With this arrangement and the fact that the Fulanis are leaving, once they leave our FADAMA (a Hausa name for irrigable land) they leave the shores of Agatu and the presence of the military that the federal government has sent, the people will have the confidence to return home,” Idu said. He also called for a permanent military formation in the riverine area of Agatu. This he said would help government stall further attacks in the area. “This will surely help because they are some of the rustlers who come from that route to attack our people, and I want to believe that they are the rustlers, mostly they are not members of Miyetti Allah Cattle Breeders Association of Nigeria (MACBAN) – a recognized association of Nigerian herdsmen,” he said. READ ALSO: Senator Shehu Sani meets with Fulani herdsmen in Kaduna (photos) He further thanked the state government for setting up committees at the various internally displaced persons camps in the state. He also commended the efforts of individuals and different organizations rendering health services and treatment at the camps. “In fact, on Friday, March 25, the wife of the state governor was there and she brought relief materials and some other groups,” the chairman of the peace and reconciliation committee said. Idu said the state government has set up a medical team to see to the health needs of the displaced persons. “However, what they need most is to go back to their homes,” he said. On way forward Idu said: “If you look at Nigeria, the population in the 50s was about 36 million, today we are running over 170 million; our lands has not expanded and we need more land to farm and produce crops for our people.” READ ALSO: Buhari should conduct himself like the president of Nigeria – FFK He advised the government to provide a place for the Fulanis to graze their animals. “Right now, the FADAMA in Agatu, when we want to plant our rice if they stay there with the number of cows I have seen there, in my lifetime, I have never seen them,” he added. He said aside the crisis, the invasion of the Fulanis in Agatu has led to an over population of the area. “If they are going to stay there with the number I have seen then there will be no place for us to farm, definitely, hunger will come to Agatu. “The Sahel and the Sudan Savannah are very large with little or no farming, why can’t they build places for them there and import or transfer pasture to them instead of roaming about and destroying people’s crops and all,” he said.